It is compulsory to have the bib of the edition 2019 on the chest. The bags are forbidden, including camelbak. Are allowed : small bananas for telephone, card, key … and bottle holders. Suitcase or bulky bag strictly forbidden in cloakrooms. 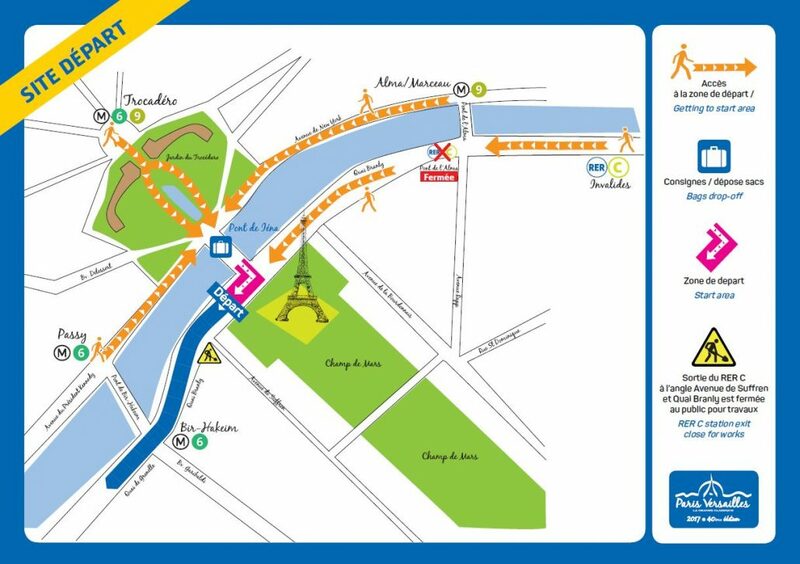 The “Pont d’Iéna” and the departure zone are closed to people without a bib and not accredited, so anticipate your arrival ! In case of incident, thank you for following strictly the instructions of the authorities and the organisers.